Who says broccoli has to be boring? 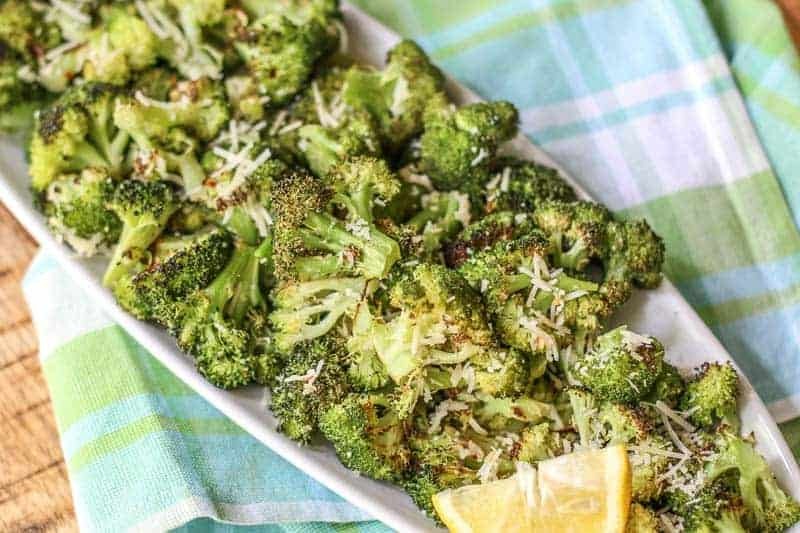 This Oven Roasted Broccoli is topped with parmesan creating an easy flavorful side dish perfect for any meal. 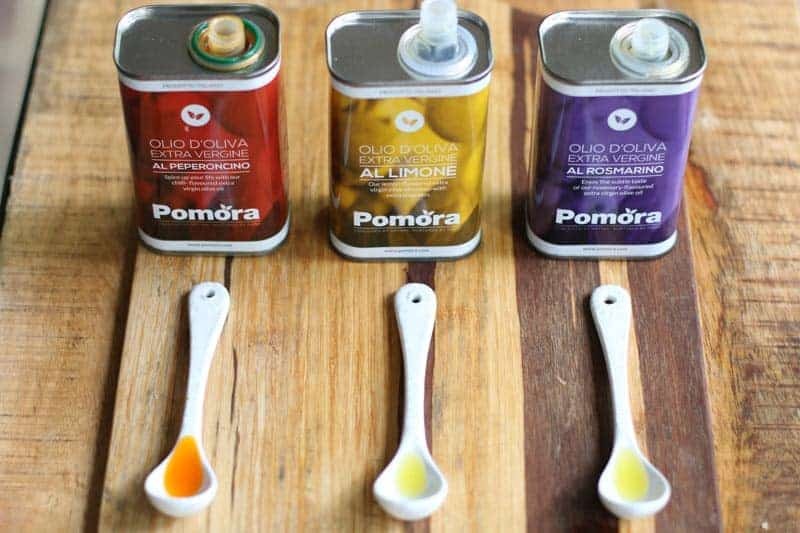 Pomora Olive Oil sent me their delicious flavored olive oil collection. This set contains chilli, lemon, and rosemary flavored olive oils. The flavorings are subtle and do not over power the flavor of the olive oil. The chilli olive oil is slightly spicy with a hint of a red chili flavor. The rosemary olive oil has a lovely light hint of rosemary flavor. It is not strong. 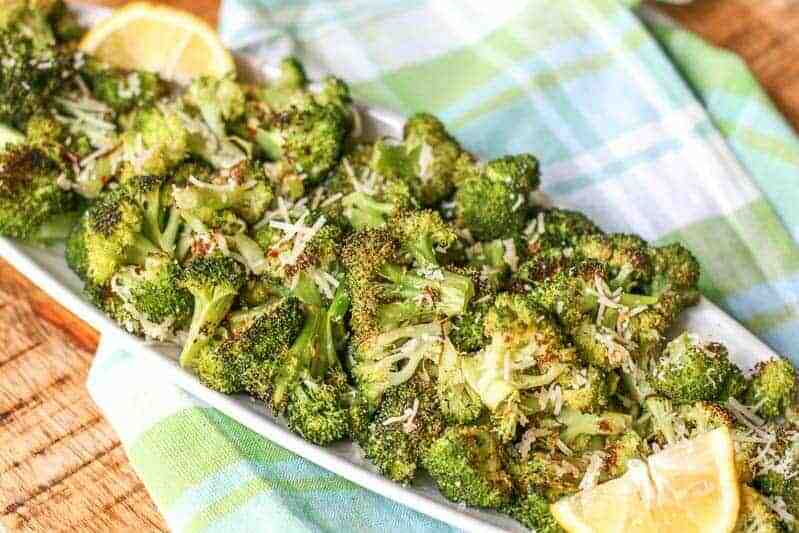 I chose the lemon olive oil to make this Oven Roasted Broccoli recipe. The lemon olive oil tastes like you found the most perfect ripened lemon and mixed it in with the olive oil. Broccoli by itself can be kind of boring. Want to know what isn’t? Oven Roasted Broccoli! 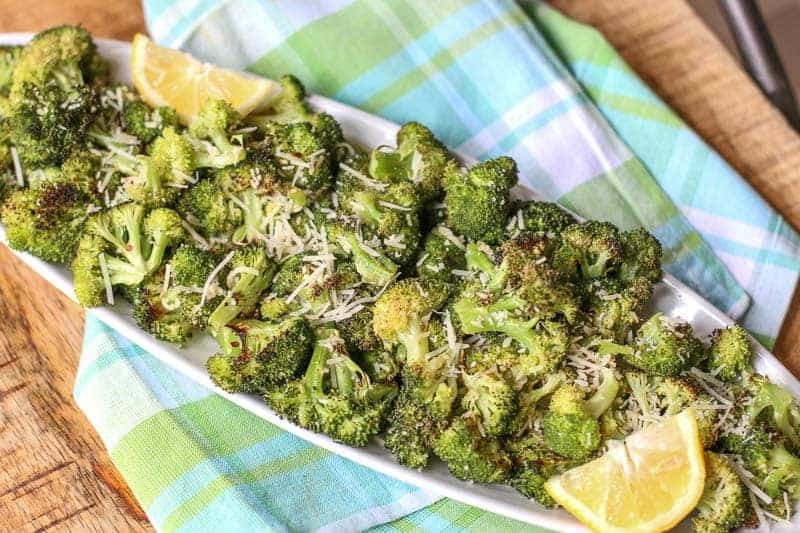 In this recipe, I toss the broccoli in Pomora’s lemon flavored olive oil. It gives it a beautiful flavor. If you don’t have the lemon flavored olive oil, you can use a plain olive oil and add 1 tbsp of fresh squeezed lemon juice for a similar flavor. After roasting, I add fresh grated parmesan and chili pepper flakes. The result is FANTASTIC! This oven roasted broccoli is cooked for 20 minutes. The color of your pan will affect how long you roast your broccoli. The darker your pans are, usually the quicker it will cook. Depending on your pan, you will need to roast your broccoli anywhere between 15-25 minutes. Therefore, keep an eye on your oven roasted broccoli starting at 15 minutes in to not over cook it. Also, I didn’t cook my broccoli to a crisp. I like to have only the edges brown. If you want your broccoli more crispy, you may want to cook yours between 20 to 25 minutes. Just be careful because once they start crisping, they cook really fast and can burn easy at the end. Looking for more roasted broccoli recipes? My friend Karrie at Tasty Ever After makes a Roasted Mexican Broccoli and a Sriracha Roasted Broccoli recipe. For more great recipes using Pomora Olive Oil, check out: Greek Lemon Potatoes, 10 Minute Easy Italian Marinated Mushrooms, Mint Watermelon Salad with Feta and Jalapeño Chimichurri Sauce. Toss broccoli in lemon olive oil. Salt and pepper. Spread on baking sheet. Roast 15 to 20 minutes watching not to burn. For more crispy roasted broccoli, roast up to 25 minutes, watching closely not to burn. Remove from oven. Top with parmesan. Add red chili pepper flakes for a little heat. Serve. If you do not have lemon olive oil, use plain olive oil and 1 tbsp of fresh lemon juice. Broccoli is one of our favorite veges, anytime of the year! I love the addition of the parmesan cheese! Delicious! This looks delicious! 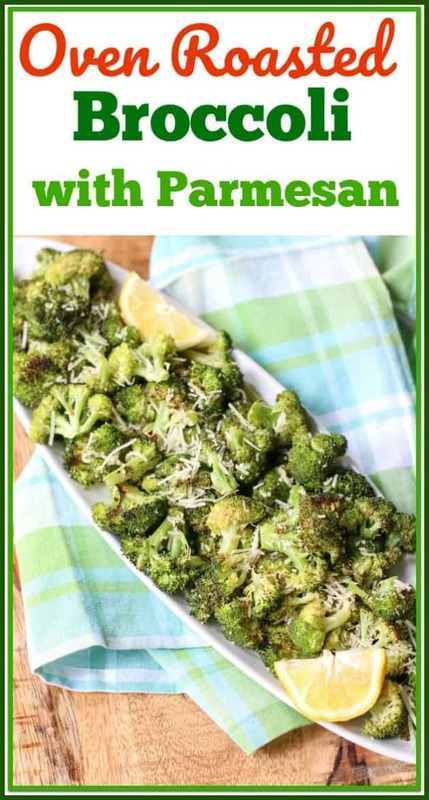 I’ve never actually roasted my broccoli, but this might give me the push to give it a try! I love everything about this flavor combination! I’m going to make this instead of plain old steaming the broccoli. Thanks for the recipe. This looks so delicious ? I never thought I would say that about broccoli but it really does! I think even my kids would love this ?